Green tea has become one of the most popular beverages over a short span of time. This miracle drink has numerous health advantages to its credit. But did you know that green tea can also help reduce the impact of periodontal disease – a chronic inflammatory disease which affects gums and bones supporting your teeth? Green tea is made from Camellia leaves, which are plucked and immediately cooked in a way so as to preserve the nutrients within and prevent oxidation. Due to this process, green teas boast of a much higher concentration of antioxidants as compared to other types of teas. Regular consumption of green tea helps control bacterial formation and lowers dental plaque and the acidity level of saliva. This proves to be very useful in preventing cavities. Many studies have shown that after consumption of green tea the subjects had lower level of acid and bacteria in their mouths. Periodontal disease is a serious gum infection which if neglected can eventually destroy the jawbone. Green tea contains catechin – an antioxidant with powerful anti-inflammatory properties. It helps control periodontal disease by interfering with your body’s inflammatory response towards the harmful bacteria responsible for causing this disease. Since green tea’s antibacterial and anti-inflammatory properties help prevent gum diseases and the formation of cavities, it eventually reduces the risk of tooth loss because of either of these two types of oral health issues. Researches have shown that drinking one or more cups of green tea a day boosts your chances of retaining your natural teeth. The powerful antioxidants present in green tea and its other beneficial properties can help protect your system against cellular damage and even cancerous tumor growth. 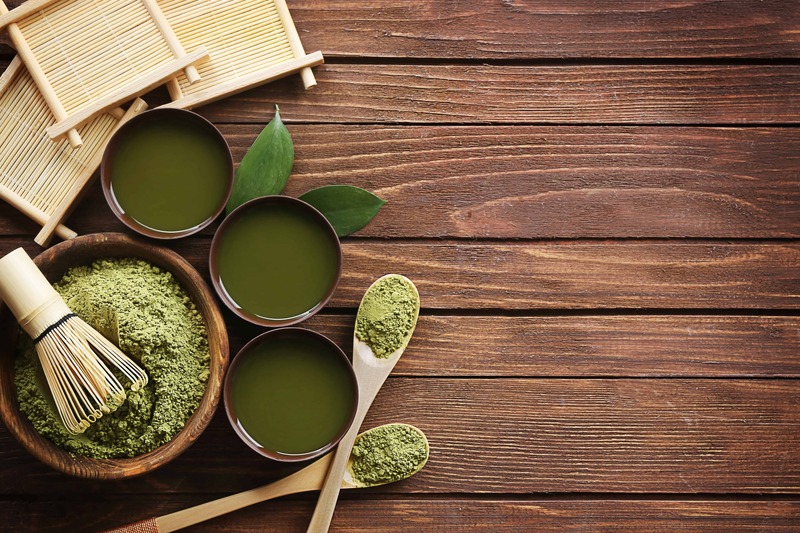 Certain studies have shown that when people with precancerous lesions in their mouths were given green tea extract, the progression of their oral cancer had slowed down. Green tea also helps eliminate bad breath. The antibacterial properties of this tea kill the harmful bacteria which are responsible for giving you a smelly breath. Studies have shown that green tea outperforms chewing gums, mints and even powerful natural substances such as parsley-seed oil when it comes to reducing the level of smelly compounds present in the mouth which give you bad breath. However, to ensure that you don’t miss out on green tea’s goodness, it is important that you prepare it correctly. Bring fresh water to a boil and let it cool down for around two minutes. Then pour it over green tea leaves or a green tea bag. Cover the container and let it sit for around three minutes. Your cup of goodness is ready to drink. So, go ahead and try replacing your usual caffeinated drinks with a refreshing cup of green tea which will work wonders for not only your overall health, but will give you a healthy smile as well!